OSCAR L BOND, son of, J FRANK P BOND , and MARTHA HATTEN, was born, Aug 27 1886, and died, May 1926. 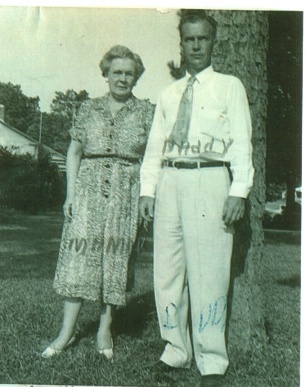 He married, SUSANNA (Anna) PARKER, born, 20 Sep 1895, and died, Oct 8 1962, daughter of, WILLIAM T PARKER and ZELMA WARE. 1. ERNESTINE JEANETTE BOND. born, 4 Dec 1914, maried, ROBERT C BARNES. 2. EDWARD LEWIS BOND. born, 7 July 1921, married, EDNA EARL TODD. ACKNOWLEDGEMENTS: BOB HARPER, who also has a Website, Index of Individuals by, ROBERT HARPER.